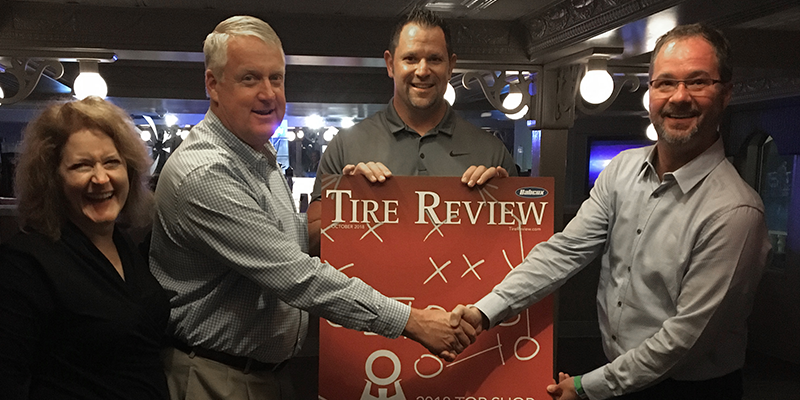 Tire Review Editor Patti Hoying, Tate Boys Tire & Service CEO Marty Shoeenthaler, Tate Boys President Craig Tate and Alyeska Tire’s Craig Wortham. Being a Top Shop isn’t about who sells the most tires or has the most locations. It’s more about the operation itself and how well it serves the community that surrounds it – including its customers and employees. My hope is that after reading the stories of our Top Shop Winner and Finalists in our October issue, you’ll walk away with an idea or an inspiration to help you raise the bar at your organization. Truth be told, that proverbial bar has been gradually rising over the past few years. The best are getting even better. As we sifted through more than 100 competitive entries this year, I noticed how many shops truly seem to be stepping things up. In fact, the business practices of a contest contender considered to be “exceptional” five years ago might be considered standard practice today. Much of this is due to rising consumer expectations. But it also has to do with more and more independent tire dealers working harder to ensure their operations continue to improve. I’ve said it before – there’s no such thing as an overnight success in the tire industry. Proof of that is our Top Shop Winner, Tate Boys Tire & Service, headquartered in Bartlesville, Oklahoma. When Craig Tate and his brother, Chuck, first got into the tire business after buying out their dad’s business, they weren’t exactly running the most sophisticated business model. Like many small business owners, their income was based on whatever money was left over at the end of the month, which they’d split. Providing for two families was a true motivator to do whatever was necessary to hustle toward success – more sales, increased efficiency so they could do more with less, even taking a second job that inspired a more orchestrated approach to the way they do business today. Tate Boys was not necessarily unique in this, but what I found exceptional is the unconditional focus to make their Core Values a priority across the organization. I’ve written about what makes a Top Shop so good in past October issues. You probably already know what to do – the challenge is putting all those ideas into action. 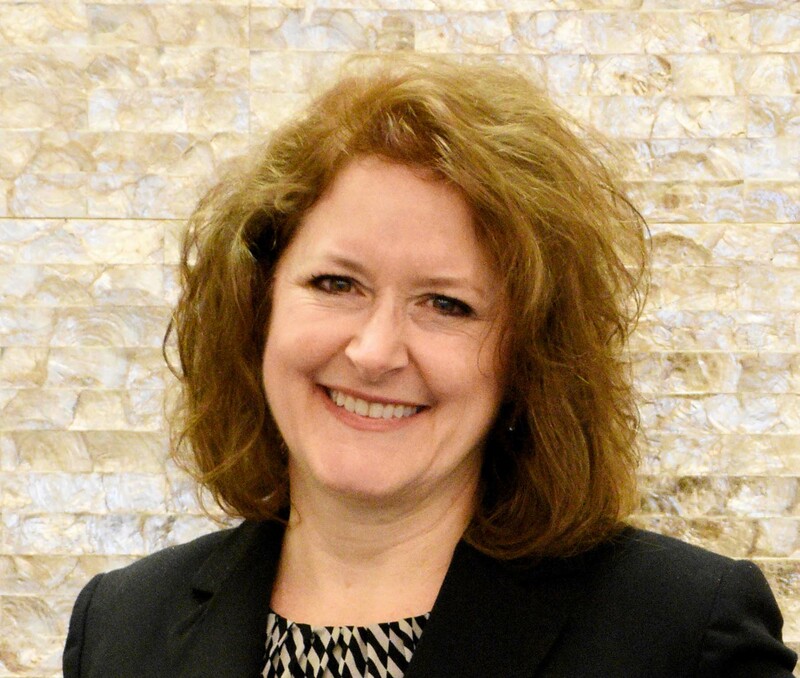 This begs the question: If you already know what to do, how can I help you connect the ideas to a vision, and that vision into an actionable strategy at each of your locations, especially with a team that is hesistant to do things differently? The Core Values emphasized at Tate Boys reminded me of a strategy that might help you shift into Top Shop mode to be your best. It’s based on using OKRs. I hate acronyms, so let me break it down for you. Let me explain how it might work for your business. For example, if your Objective is to be the number one destination for tires and auto service in your area, quarterly Key Results might include increasing the number of new customer acquisitions and growing tire sales by a certain amount. Key Results should be measurable, yet slightly unattainable, so you’re always reaching. Even something vague like “enhancing the in-store customer experience” can be measured by comments, survey feedback and even fewer complaints (or more compliments) on social media. Find a way to measure what matters. Tasks are then assigned, and team decisions are made to support the Key Results and ultimately the Objective. If being number one in your market is communicated as your Objective, it’s easier for individuals across the organization to frame their perspective and pay closer attention to the tasks and activities that will make those supportive Key Results happen. From marketing decisions to technician speed and sales conversations to pricing and promotions, all of it works together to achieve the ultimate set Objective. OKRs act as a North Star for your team so they share in the overall vision and move forward together. As new opportunities are suggested, your team can run those against what’s most important (Objectives) to make a decision that best supports the business’ goals. For owners, it also ensures you’re not trying to do too many things at the same time or chasing the “next shiny object” instead of focusing on what matters most to your success. Simplicity is key. While you may have a long list of Objectives you’d like to see happen, only focus on one or two at a time, supported by three or four measurable Key Results for each. Once you have the Objective set and Key Results in place,, it opens an opportunity for team members to excel, provided you have Core Values (like those at Tate Boys) to help individuals stay on track, along with well-communicated expectations. Do OKRs have an impact? In my opinion, they can be the rocket fuel to speed your success, helping you overcome the challenges of a swiftly changing marketplace. In fact, they were implemented and embraced by the team at Google in the late 1990s when they were a struggling startup. Not sure how that turned out, but perhaps you can Google it. When things seem to be moving too fast, my dad taught me that the best way to avoid carsickness was to set your sight on a fixed place, a place you’re moving toward. You’ll feel better and arrive there before you know it. With the rapid pace of change in our industry, Objectives offer that opportunity to focus your view so you arrive faster. If you want to shift your business into Top Shop mode and raise that bar, OKRs can help. Let me know how it works for you. Email me at [email protected].